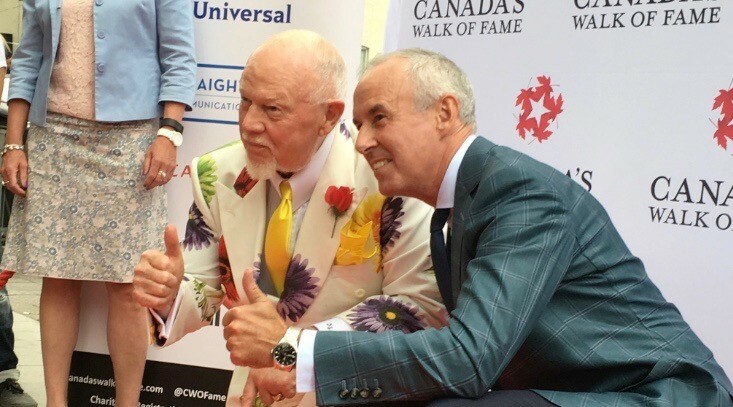 It seems exceptionally fitting for Don Cherry and Ron MacLean that Canada’s Walk of Fame stars live in Toronto’s entertainment district. After all, for three decades their friendly, sometimes contentious, always enjoyable, relationship has been aired out on CBC for all see – and definitely to be entertained by. The old pair are once again set to return to CBC’s Hockey Night in Canada this fall after a recent shakeup saw MacLean replace George Stroumboulopoulos, the very man who had replaced him as host of HNIC just two years before. 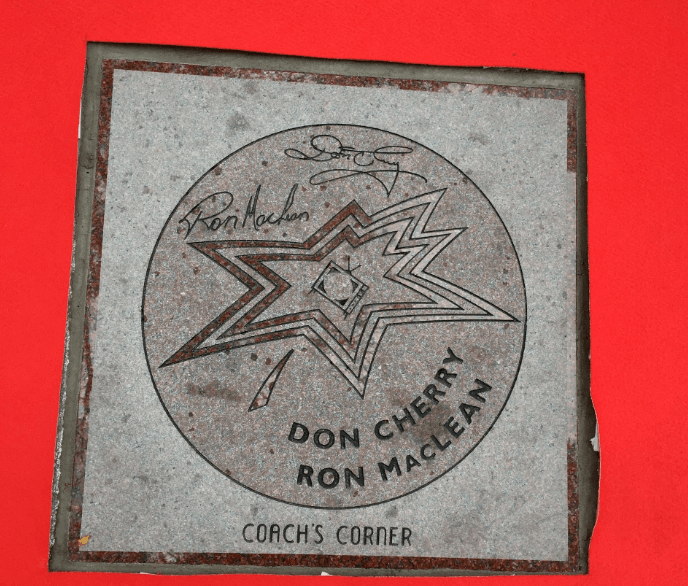 While the both Cherry and MacLean had officially been inducted into Canada’s Walk of Fame last fall (alongside Michael Bublé, Wendy Crewson, Silken Laumann, Lorne Greene, and Lawrence Hill), they had to wait several months to see their names enshrined on the King West sidewalk. As it’s nearly impossible to think of one of these men without thinking of the other, it seems more than appropriate that any lasting tribute should have their names forever engraved beside each other. Eric is the Managing Editor for Daily Hive and previously the Editor-in-Chief at Notable.ca. He has been helping to create, grow, and direct digital content for the past decade. He is one of the oldest millennials you will ever meet.